Juicing and blending are different methods of turning solids and liquids. There are different machines for each one. For juicing, I have bought and sold my Jack LeLanne juicer because I realized how important the difference between juicing and blending is. Juicing is great, but creates an extra step. When you juice, you usually peel the fruit before putting it into the blender. The blender than separates the solids (pulp) from the liquids (natural liquids) within the fruit itself. The problem with juicing is half the nutrients are extracted from the fruit juice and in the disposed of department of the juicer. While the juice is healthy for you, you are not getting the full nutritional value of the fruit. Blending is a much better fit for myself and possible you. The blender I am in love with is the Vitamix. This blender has a great reputation and long history of service and maintenance. I first saw the love of my life at a Whole Foods Market in Dublin, Ohio. The lady that was doing the demonstration literally through everything in the blender and turned it on. The result was deliciousness. This blender did not require you to peel the fruit, it did not require anything but cleanliness, which is far better than most. Living a healthy life is not cheap and often requires expensive machinery. One must keep in mind that expensive machinery, such as a Vitamix, comes with a great warranty. That being said, the price range for a Vitamix is between $250-$500. Considering the price seems hefty, it is an amazing machines, plus it replaces a handful of other kitchen appliances. The Vitamix does a great job covering the areas of a blender, chopper, food processor, ice cream maker and juicer. Once you take into account the price of each appliances, you will see that a Vitamix is actually cheap, in comparison to $100, at minimum, for each quality appliance. 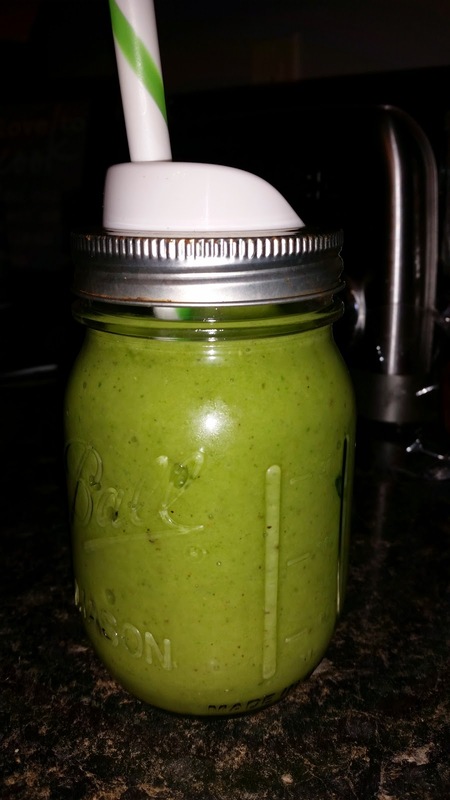 One of my favorite results of the Vitamix was a "green smoothie" remix, I recreated when wanting something new, yet healthy and packed full of nutrients. I threw a little of this, a little of that, and bam the Incredible Hulk Favorite was born! The smoothie is named Incredible Hulk because my son loves Hulk and not only that, the smoothie provides a strong punch without being 'too' over powering! It packs a mean punch to keep you healthy and satisfied! Giving what the Vitamix can do, I am certainly pleased to have spent the money on one. Not only does it replace all the above appliances, plus some, it comes with a 7 year warranty. During a demonstration at Whole Foods Market Dublin, I asked the lady "how do you know these machines are worth what you are paying, how can you be sure they will last?" I have had, over the past 4 years, 7 different blenders, all of which break or die off within 7 months, because we use them too much. She told me that one lady who had bought one 20 years ago, still to this day uses her 20 year old Vitamix and actually decided to upgrade to a newer version, to see what more it offers compared to hers from 20 years ago. My jaw hit the floor when I found out she has used her machine for 20 years! Daily too! I could not believe it. I asked Daniel, 20 year machine or 7 months?!? Hmmm... That was too easy! So, we picked once up that day! Ham, Green Bean, and Potato Soup!